The Maya Leaders Alliance (MLA) has sought international assistance after 12 villagers of Santa Cruz were charged for the unlawful imprisonment of Rupert Myles. 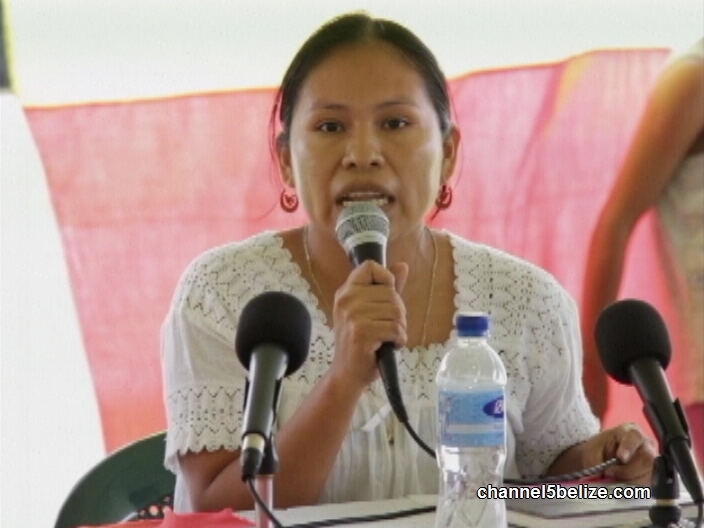 MLA claims that they were only attempting to protect the Uxbenka Maya Site where Myles was building his home and the Government of Belize (GOB) is not respecting the Maya’s rights. 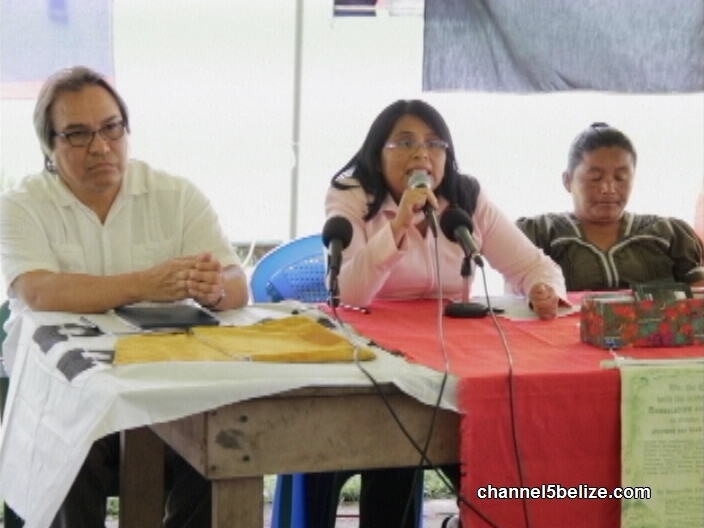 The United Nations Special Rapporteur on the rights of indigenous peoples has since urged GOB to respect the right of the Maya people and remove the charges against them. The incident started on Saturday, June 20th when Myles was unlawfully arrested by Santa Cruz villagers. After Myles reported the incident, police arrested and charged the villagers for the crime of “Unlawful Imprisonment”, “Common Assault” and “Aggravated Assault”. Prime Minister Dean Barrow even condemned the actions of the Santa Cruz villagers, stating that the treatment of Myles is “outrageous”. MLA believed that the actions from the police and response from Prime Minister Dean Barrow were inappropriate and went against their rights and traditions. The villagers of Santa Cruz believe that their actions in detaining Myles were justified, as they were only protecting sacred land and that GOB should have supported them in their action. "To Belizeans who are not Maya, it may appear that we are trying to get something for ourselves, but consider it from another perspective. We are only insisting on what we already have and what we already used. We face an attack on the right to communal land, to practicing autonomy within our communities,” said spokesperson for the MLA Cristina Coc. 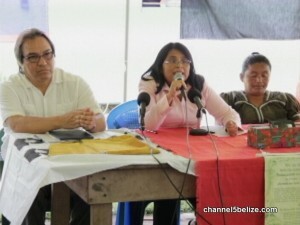 The MLA went to the extent of filing a complaint to the Caribbean Court of Justice (CCJ), claiming GOB’s failure to honor the decision made under the CCJ order of April 22, 2015 to respect and uphold the Maya’s rights to communal land. "This application became necessary due to the government's failure to honor the consent order. Thus we have to now go back before the CCJ. The application is asking the court to make clarifications and declarations with respect to that consent order and some of the things that we're asking the court to declare include that the collective property rights arising from Maya customary land tenure includes the right of the Maya villagers to determine pursuant to customary law, who may enter, use and reside in customary lands. 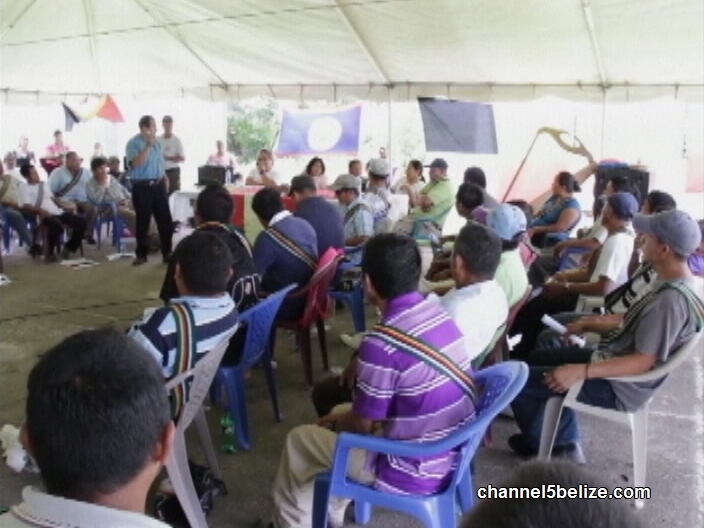 Secondly, to declare that the Government of Belize has breached part of the consent order. The order says that the government must adopt affirmative measures to identify and protect the rights of the appellants arising from Maya customary tenure in conformity with the constitutional protection of property and non-discrimination. The application is also asking the court to order the GOB to pay pecuniary and moral damages to the Maya villagers of Santa Cruz," said MLA attorney Monica Coc. In a press release issued by the United Nations Special Rapporteur on the rights of indigenous peoples, Victoria Tauli-Corpuz stated, “Under international human rights standards, indigenous peoples have the right to use, develop and also to control the lands, territories and resources that they possess by reason of traditional ownership.” Tauli-Corpuz goes on to state that GOB needs to establish a dialogue with MLA to discuss outstanding concerns regarding the incident. “It appears as though the repeated requests to local police by Santa Cruz village leaders for assistance in removing the individual (Myles) from the archaeological site within their village lands, went ignored. I am concerned by the inaction of the GOB to assist Maya villagers to protect their property rights in the face of threats to those rights. The Maya village of Santa Cruz holds customary rights to its village lands, which the government must respect and protect. The current situation of conflict and mistrust cannot be allowed to persist,” said Tauli-Corpuz. Myles, who is of Creole descent, had been constructing a house on the archaeological site of Uxbenka. Villagers alleged that he bulldozed a portion of the site to create a driveway. According to the villagers he was detained after interrupting an afajina (traditional meeting). Villagers allege that he stated that he had a firearm in his car and that he proceeded to approach his vehicle. He was released by the villagers later that day. But Myles claims that the villagers’ action were based on racial discrimination. MLA will continue to seek legal action in order for the Maya land right to be upheld.